The Department for Culture, Media and Sport (DCMS) has launched a consultation on plans which would allow commercial radio operators to drop local programmes and change music formats. Currently radio stations are obliged to broadcast seven hours of content from the local area on weekdays, meaning stations such as Capital and Heart have different breakfast and drivetime shows for each area of the UK they cover. This requirement would be scrapped under the plans. New proposals will also see stations being allowed to change music formats without having to wait for permission from Ofcom. In an announcement released late on Monday, coinciding with World Radio Day, the DCMS said the move would allow stations "to network more of their services across different stations, allowing them to showcase star presenters throughout the day including at breakfast time". Local news and information would still be required, but are likely to be treated in a similar way to regional news opt-outs on breakfast television, with a few minutes each hour dedicated to local news and travel. 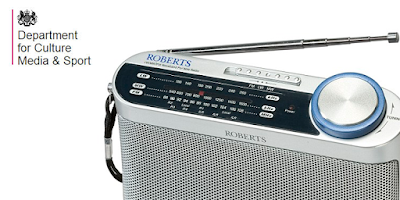 "In a time of extraordinary change, radio has thrived. But the way commercial radio is regulated is increasingly outdated and holding it back from investing in new content, services and platforms. All these things are essential for radio to stay relevant, especially in an age of unregulated internet audio services. So I’m delighted to announce on World Radio Day that we will be asking industry and members of the public for their views on the deregulation of local radio. Under our new proposals we will be giving local radio stations more freedom and flexibility to meet the needs of listeners across the country." It is claimed that by axing local programming, stations will "have more resources to invest in new ways of attracting and keeping radio listeners including younger listeners who are at risk of moving away from listening to traditional radio." However, the changes would result in the loss of a number of jobs across the industry as local programmes are replaced by a single national schedule on commercial radio stations taking advantage of the new rules. Previous relaxation of the rules allowing neighbouring areas to share local output has led to a number of locations in the UK with no actual local commercial station, with the BBC and Community Radio providing the only fully local service. Stations will however, still be required to provide national and local news and other local information. This requirement will be further extended to include digital radio for the first time.